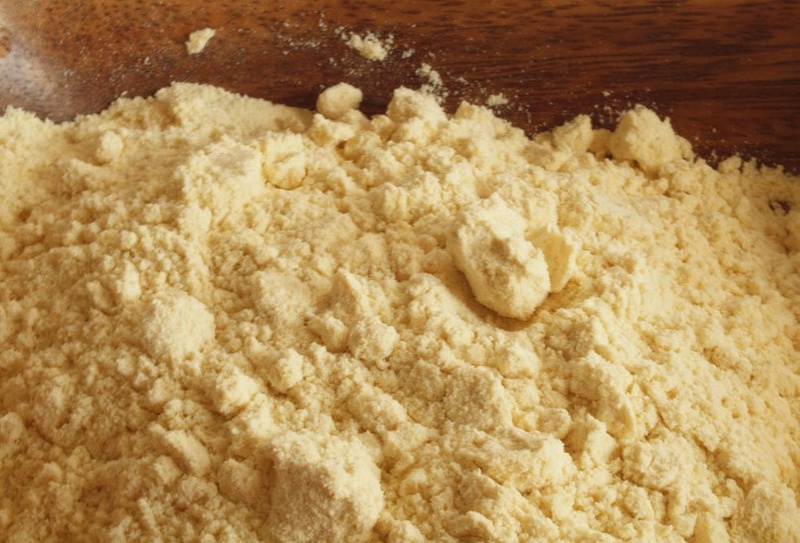 This is a very fine yellow flour, made by stone-grinding the whole dried corn kernel. We do not grind it ourselves, it is sourced from Australia. (Zentrofan mills don't grind corn kernels.) It is used to make our corn crisps, a healthy light and crunchy corn cracker. It can also be used for thickening, or for other mexican dishes such as tortillas. Corn is gluten-free and is a good source of niacin, thiamine, riboflavin, pantothenic acid, folate and vitamins B-6, E and K. It contains 18 amino acids and valuable minerals such as iron, magnesium, phosphorus, potassium, zinc, copper, manganese and selenium. It is high in carbohydrate which the body needs for energy. This is a good source of carbohydrate being both unrefined and wholegrain.